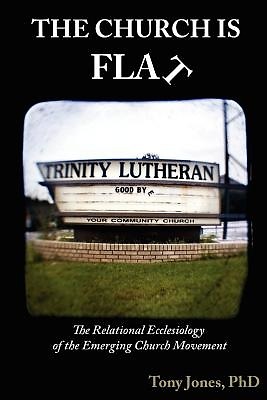 The Church Is Flat is the first significant, researched study into the ecclesiology of the emerging church movement. Research into eight congregations is put into conversation with the theology of Jurgen Moltmann, concluding with pragmatic proposals for the the practice of a truly relational ecclesiology. Tony Jones visited eight emerging church congregations (Cedar Ridge Community Church, Pathways Church, Vintage Faith Church, Journey Church, Solomon's Porch, House of Mercy, Church of the Apostles, and Jacob's Well), facilitating interviews, focus groups, and surveys. After interpreting the data, Jones pulls out the most significant practices of these congregations and judges them relative to the relational ecclesiology of Jurgen Moltmann. Finally, Jones proposes a way forward for the emerging church movement, and the Protestant church writ large.